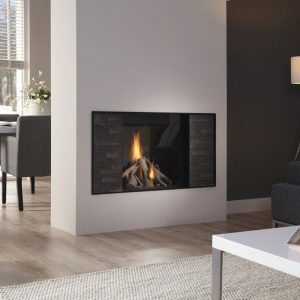 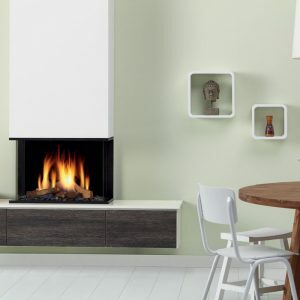 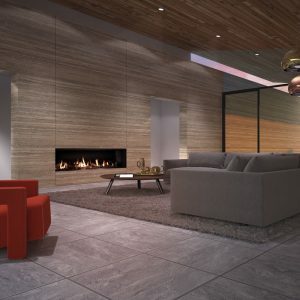 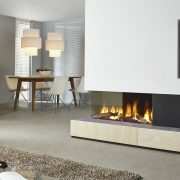 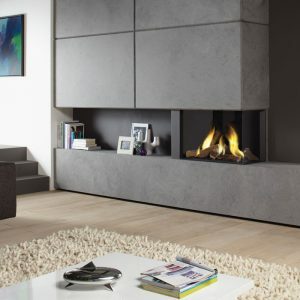 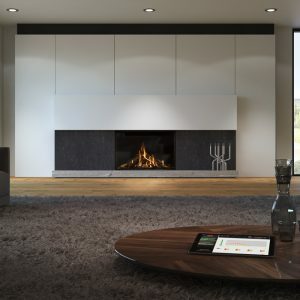 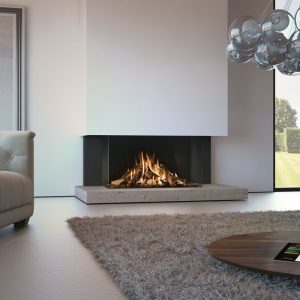 Cosmo is a substantial and inspirational gas fire for large homes, spacious apartments or hotels and restaurants. 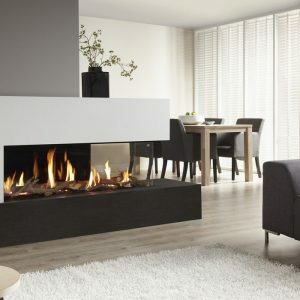 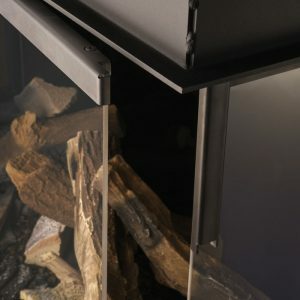 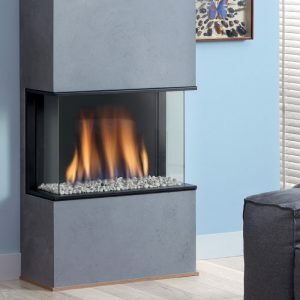 It is a 1.8 metre wide balanced flue fire with a 17.5 kW heat output. 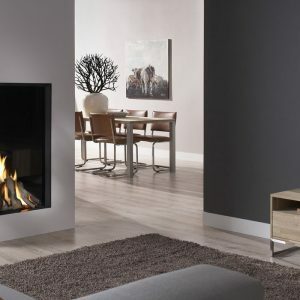 It has an authentic log fire display and can be installed into a wall or combined with matching fire surrounds as shown in the picture.